Our custom ATE Semiconductor Test Equipment is the photonics industry’s most advanced and cost-effective test system for reliability, burn-in testing, accelerated life testing for photodiode and laser diode semiconductors. Our line of custom semiconductor test systems are versatile and is compatible with various environmental test chambers to meet strict reliability standards. Startups to Enterprise can benefit from our cost effective automatic test equipment for accelerated life testing and burn-in of photodiodes & laser diode semiconductors. Electron Test Equipment provides exceptional support through training and setup and will help your team with advanced testing conditions. Most semiconductor testing systems do not provide humidity & sub zero environmental testing. We do. Our ATE-Laser & ATE-Photodiode test systems provide precise control over the testing conditions of your semiconductors. The system is designed to meet demanding military and telecom reliability standards by testing for sub zero thermal shock (as low as -75° C), humidity ( 20% to 95% RH), or high temperatures ( up to 180° C) used for burn-in, accelerated aging, and product characterization. 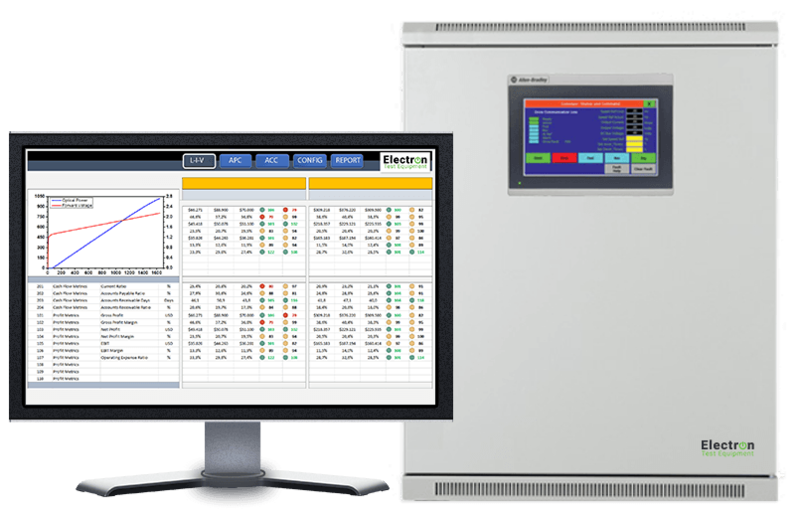 Increases semiconductor product reliability testing through accurate and cost-effective test equipment that automatically measures and controls up to 1024 photodiode or laser diode semiconductor devices simultaneously in various environmental conditions (humidity, high temp, sub zero). Whether your photodiode or laser diode semiconductor is used in aerospace, telecommunication, transportation or consumer applications – the reliability of your product means success or failure. Request a real-time remote demonstration of our automatic test equipment.